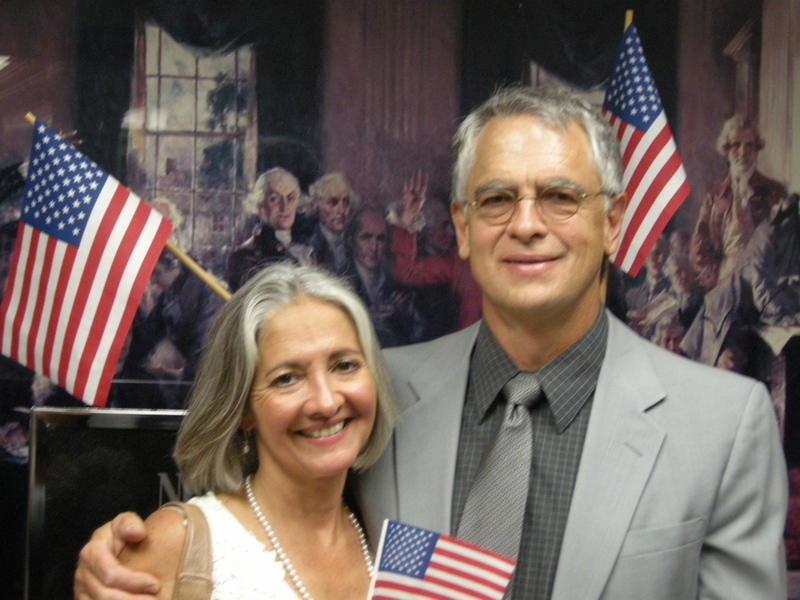 This photo was taken right after the ceremony by our dear friend and neighbor Marijo, who sat through the whole thing just to be able to hug me for the first time as an American citizen! HAPPY 4th to all my American readers! Enjoy the fireworks! What a lovely photo Sally! Congratulations – I hope you’re having a beautiful 4th of July – xo (you’ve got a captive Canadian audience ;-)). Happy 4th of July to my American friend! (and 5th, and 6th, and on and on!). Congratulations again, and always, Sally! Happy 4th my dear! I love how you have such great memories on this day! Thank you, everyone! We are in Oklahoma this week, and took our three dogs to watch the fireworks with us. Good thing Chief is now pretty much deaf, poor thing – he used to hate the fireworks, now he barely pays any attention. The United States is lucky to have you, Sally. Congatulations on enjoying your 4th as a proud American citizen. I think it is absolutely wonderful! Thanks again, you are all very kind!